Tis’ the season for terrifying horror movies! It’s Halloween month! What better way to spend these bone-chilling nights than lost in the depths of a good and scary werewolf flick? There are many werewolf films featuring ferocious beasts spreading terror in the night, but out of those many movies, which one is your favorite? What is your favorite werewolf horror movie? The Howling: After a bizarre and near fatal encounter with a serial killer, a newswoman is sent to a rehabilitation center whose inhabitants may not be what they seem. Ginger Snaps: Ginger and Brigette Fitzgerald and morbid social outcasts at their school, and fantasize about a joint suicide. One night when walking through the town they are attacked by a wild animal which is then hit by a van, but not before Ginger is bitten. Over the next month she begins acting strangely and undergoes physical changes. Everyone says it’s just her becoming a woman, but Bridgette begins to suspect otherwise. An American Werewolf in London: Two American tourists in Britain are attacked by a werewolf that none of the locals will admit exists. 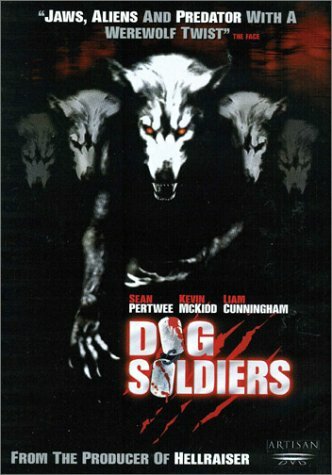 Dog Soldiers: A squad of British soldiers on a training exercise in the Scottish highlands find themselves battling for survival against a pack of vicious werewolves. The Wolf Man: A practical man returns to his homeland, is attacked by a creature of folklore, and infected with a horrific disease his disciplined mind tells him can not possibly exist. Big Bad Wolf: A college freshman named David takes some of his friends to his stepfather’s cabin, where they are attacked by a horrible beast. David and the other survivor of the massacre begin to suspect that his stepfather is in fact the beast in question. Wild Country: Filmed in Scotland, this horror movie follows a young girl who gives birth and has to give the child up for adoption. She goes on a school hike in the Scottish highlands to try and forget her troubles. However, things take an unexpected turn when she finds an abandoned baby in a castle crypt, and the group find themselves stalked by a ferocious beast. And there’s your list of just a few of the many werewolf horror flicks out there. Which werewolf horror movie is your favorite? Is it one of the films listed or another movie entirely?